Nassim Nicholas Taleb (/ˈtɑːləb/; Arabic: نسيم نقولا طالب‎, alternatively Nessim or Nissim; born 1960) is a Lebanese–American (of Antiochian Greek descent) essayist, scholar, statistician, and former trader and risk analyst, whose work focuses on problems of randomness, probability, and uncertainty. His 2007 book The Black Swan has been described by The Sunday Times as one of the twelve most influential books since World War II. Taleb is an author and has been a professor at several universities, serving as a Distinguished Professor of Risk Engineering at the New York University Tandon School of Engineering since September 2008. He has been co-editor-in-chief of the academic journal Risk and Decision Analysis since September 2014. He has also been a practitioner of mathematical finance, a hedge fund manager, and a derivatives trader, and is currently listed as a scientific adviser at Universa Investments. He criticized the risk management methods used by the finance industry and warned about financial crises, subsequently profiting from the late-2000s financial crisis. He advocates what he calls a "black swan robust" society, meaning a society that can withstand difficult-to-predict events. He proposes antifragility in systems, that is, an ability to benefit and grow from a certain class of random events, errors, and volatility as well as "convex tinkering" as a method of scientific discovery, by which he means that decentralized experimentation outperforms directed research. Taleb was born in Amioun, Lebanon, to Minerva Ghosn and Nagib Taleb, a physician/oncologist and a researcher in anthropology. His parents were Greek Orthodox Lebanese of Antiochian Greek origin, holding French citizenship. His grandfather, Fouad Nicolas Ghosn, and his great-grandfather, Nicolas Ghosn, were both deputy prime ministers in the 1940s through the 1970s. His paternal grandfather Nassim Taleb was a supreme court judge and his great-great-great-great grandfather, Ibrahim Taleb (Nabbout), was a governor of Mount Lebanon in 1866. Taleb attended a French school there, the Grand Lycée Franco-Libanais in Beirut. His family saw its political prominence and wealth reduced by the Lebanese Civil War, which began in 1975. 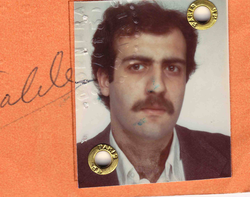 Taleb received his bachelor and master of science degrees from the University of Paris. He holds an MBA from the Wharton School at the University of Pennsylvania (1983), and a PhD in Management Science from the University of Paris (Dauphine) (1998), under the direction of Hélyette Geman. His dissertation focused on the mathematics of derivatives pricing. According to a profile in Le Monde, Taleb reads in ten languages. Taleb considers himself less a businessman than an epistemologist of randomness, and says that he used trading to attain independence and freedom from authority. He was a pioneer of tail risk hedging (now sometimes called "black swan protection"), which is intended to mitigate investors' exposure to extreme market moves. His business model has been to safeguard investors against crises while reaping rewards from rare events, and thus his investment management career has included several jackpots followed by lengthy dry spells. He has also held the following positions: managing director and proprietary trader at Credit Suisse UBS, worldwide chief proprietary arbitrage derivatives trader for currencies, commodities and non-dollar fixed income at First Boston, chief currency derivatives trader for Banque Indosuez, managing director and worldwide head of financial option arbitrage at CIBC Wood Gundy, derivatives arbitrage trader at Bankers Trust (now Deutsche Bank), proprietary trader at BNP Paribas, independent option market maker on the Chicago Mercantile Exchange and founder of Empirica Capital. Taleb reportedly became financially independent after the crash of 1987 and was successful during the Nasdaq dive in 2000 as well as the financial crisis that began in 2007, a development which he attributed to the mismatch between reality and statistical distributions used in finance. Following this crisis, Taleb became an activist for what he called a "black swan robust society". Since 2007 he has been a Principal/Senior Scientific Adviser at Universa Investments in Santa Monica, California, a fund which is based on the "black swan" idea, owned and managed by former Empirica partner Mark Spitznagel. Some of its separate funds made returns of 65% to 115% in October 2008. In a 2007 Wall Street Journal article, Taleb claimed he retired from trading in 2004, and became a full-time author. [contradictory] However, he describes the nature of his involvement as "totally passive" from 2010 on. Taleb changed careers and became a mathematical researcher, scholar and philosophical essayist in 2006, and has held positions at NYU's Courant Institute of Mathematical Sciences, at University of Massachusetts Amherst, at London Business School, and at Oxford University. He has been Distinguished Professor of Risk Engineering at New York University Tandon School of Engineering, since 2008. He was Distinguished Research Scholar at the Said Business School BT Center, University of Oxford (2009-2013). He is co-Editor in Chief of the academic journal, Risk and Decision Analysis (since September 2014), jointly teaches regular courses with Paul Wilmott in London (19th time, March 2015), and occasionally participates in teaching courses toward the Certificate in Quantitative Finance. He is also co-faculty at the New England Complex Systems Institute. Taleb's five volume philosophical essay on uncertainty, titled the Incerto, covers the following books: Fooled by Randomness (2001), The Black Swan (2007–2010), The Bed of Procrustes (2010), Antifragile (2012), and Skin in the Game (2018). It was originally published in November 2016 including only the first four books. The fifth book has not been included in a separate release of the series. His first non-technical book, Fooled by Randomness, about the underestimation of the role of randomness in life, published in 2001, was selected by Fortune as one of the smartest 75 books known. His second non-technical book, The Black Swan, about unpredictable events, was published in 2007, selling close to 3 million copies (as of February 2011). It spent 36 weeks on the New York Times Bestseller list, 17 as hardcover and 19 weeks as paperback, and was translated into 31 languages. The book has been credited with predicting the banking and economic crisis of 2008. A book of aphorisms, The Bed of Procrustes: Philosophical and Practical Aphorisms, was released in December 2010. The fourth book of his Incerto series—Antifragile: Things That Gain from Disorder—was published in November 2012. The fifth book of his Incerto series—Skin in the Game: Hidden Asymmetries in Daily Life—was published in February 2018. It has not yet been included in an updated release of Incerto. Taleb's non-technical writing style has been described as mixing a narrative, often semi-autobiographical style with short philosophical tales and historical and scientific commentary. The sales of Taleb's first two books garnered an advance of $4 million, for a follow-up book on anti-fragility. Taleb's book The Bed of Procrustes summarizes the central problem: "we humans, facing limits of knowledge, and things we do not observe, the unseen and the unknown, resolve the tension by squeezing life and the world into crisp commoditized ideas". Taleb disagrees with Platonic (i.e., theoretical) approaches to reality to the extent that they lead people to have the wrong map of reality, rather than no map at all. He opposes most economic and grand social science theorizing, which in his view, suffers acutely from the problem of overuse of Plato's Theory of Forms. Based on these and other constructions, he advocates for what he calls a "black swan robust" society, meaning a society that can withstand difficult-to-predict events. Taleb has called for cancellation of the Nobel Prize in Economics, saying that the damage from economic theories can be devastating. He opposes top-down knowledge as an academic illusion. Together with Espen Gaarder Haug, Taleb asserts that option pricing is determined in a "heuristic way" by operators, not by a model, and that models are "lecturing birds on how to fly". Teacher and author Pablo Triana has explored this topic with reference to Haug and Taleb, and says that perhaps Taleb is correct to urge that banks be treated as utilities forbidden to take potentially lethal risks, while hedge funds and other unregulated entities should be able to do what they want. Taleb's writings discuss the error of comparing real-world randomness with the "structured randomness" in quantum physics where probabilities are remarkably computable and games of chance like casinos where probabilities are artificially built. Taleb calls this the "ludic fallacy". His argument centers on the idea that predictive models are based on Plato's Theory of Forms, gravitating towards mathematical purity and failing to take some key ideas into account, such as: the impossibility of possessing all relevant information, that small unknown variations in the data can have a huge impact, and flawed theories/models that are based on empirical data and that fail to consider events that have not taken place, but could have taken place. Discussing the ludic fallacy in The Black Swan, he writes, "The dark side of the moon is harder to see; beaming light on it costs energy. In the same way, beaming light on the unseen is costly, in both computational and mental effort." In the second edition of The Black Swan, he posited that the foundations of quantitative economics are faulty and highly self-referential. He states that statistics is fundamentally incomplete as a field, as it cannot predict the risk of rare events, a problem that is acute in proportion to the rarity of these events. With the mathematician Raphael Douady, he called the problem statistical undecidability (Douady and Taleb, 2010). Taleb sees his main challenge as mapping his ideas of "robustification" and "antifragility", that is, how to live and act in a world we do not understand and build robustness to black swan events. Taleb introduced the idea of the "fourth quadrant" in the exposure domain. One of its applications is in his definition of the most effective (that is, least fragile) risk management approach: what he calls the 'barbell' strategy which is based on avoiding the middle in favor of linear combination of extremes, across all domains from politics to economics to one's personal life. These are deemed by Taleb to be more robust to estimation errors. For instance, he suggests that investing money in 'medium risk' investments is pointless, because risk is difficult, if not impossible to compute. His preferred strategy is to be both hyper-conservative and hyper-aggressive at the same time. For example, an investor might put 80 to 90% of their money in extremely safe instruments, such as treasury bills, with the remainder going into highly risky and diversified speculative bets. An alternative suggestion is to engage in highly speculative bets with a limited downside. Taleb asserts that by adopting these strategies a portfolio can be "robust", that is, gain a positive exposure to black swan events while limiting losses suffered by such random events. :207 Together with Donald Geman and Hélyette Geman, he modeled the "maximum entropy barbell" which consists in "to constrain only what can be constrained (in a robust manner) and to maximize entropy elsewhere", based on an insight by E. T. Jaynes that economic life increases in entropy under regulatory and other constraints. Taleb also applies a similar barbell-style approach to health and exercise. Instead of doing steady and moderate exercise daily, he suggests that it is better to do a low-effort exercise such as walking slowly most of the time, while occasionally expending extreme effort. He claims that the human body evolved to live in a random environment, with various unexpected but intense efforts and much rest. Besides his work on finance and probability, Taleb touches upon many current issues such as employment, the state of academia, and the Syrian Civil War. He appeared as a special guest on The Ron Paul Liberty Report on May 19, 2017 and stated his support for a non-interventionist foreign policy. Taleb subsequently appeared with Ron Paul and Ralph Nader on their respective shows in support of Skin in the Game, which was dedicated to both men. Taleb wrote in Antifragile and in scientific papers that if the statistical structure of habits in modern society differ too greatly from the ancestral environment of humanity, the analysis of consumption should focus less on composition and more on frequency. In other words, studies that ignore the random nature of supply of nutrients are invalid. In a 2008 article in The Times, the journalist Bryan Appleyard described Taleb as "now the hottest thinker in the world". The Nobel Laureate Daniel Kahneman proposed the inclusion of Taleb's name among the world's top intellectuals, saying "Taleb has changed the way many people think about uncertainty, particularly in the financial markets. His book, The Black Swan, is an original and audacious analysis of the ways in which humans try to make sense of unexpected events." Taleb was treated as a "rock star" at the World Economic Forum annual meeting in Davos in 2009; at that event he had harsh words for bankers, suggesting that "it is time for some punishment". Taleb contends that statisticians can be pseudoscientists when it comes to risks of rare events and risks of blowups, and mask their incompetence with complicated equations. This stance has attracted criticism: the American Statistical Association devoted the August 2007 issue of The American Statistician to The Black Swan. The magazine offered a mixture of praise and criticism for Taleb's main points, with a focus on Taleb's writing style and his representation of the statistical literature. Robert Lund, a mathematics professor at Clemson University, writes that in Black Swan, Taleb is "reckless at times and subject to grandiose overstatements; the professional statistician will find the book ubiquitously naive." Aaron Brown, an author, quantitative analyst, and finance professor at Yeshiva and Fordham Universities, said that "the book reads as if Taleb has never heard of nonparametric methods, data analysis, visualization tools or robust estimation." Nonetheless, he calls the book "essential reading" and urges statisticians to overlook the insults to get the "important philosophic and mathematical truths." Taleb replied in the second edition of The Black Swan that "One of the most common (but useless) comments I hear is that some solutions can come from 'robust statistics.' I wonder how using these techniques can create information where there is none". :353 While praising the book, Westfall and Hilbe in 2007 complained that Taleb's criticism is "often unfounded and sometimes outrageous." Taleb, writes John Kay, "describes writers and professionals as knaves or fools, mostly fools. His writing is full of irrelevances, asides and colloquialisms, reading like the conversation of a raconteur rather than a tightly argued thesis. But it is hugely enjoyable – compelling but easy to dip into. Yet beneath his rage and mockery are serious issues. The risk management models in use today exclude the very events against which they claim to protect the businesses that employ them. These models import a veneer of technical sophistication ... Quantitative analysts have lulled corporate executives and regulators into an illusory sense of security." Berkeley statistician David Freedman said that efforts by statisticians to refute Taleb's stance have been unconvincing. Taleb and Nobel laureate Myron Scholes have traded personal attacks, particularly after Taleb's paper with Espen Haug on why nobody used the Black–Scholes–Merton formula. Taleb said that Scholes was responsible for the financial crises of 2008, and suggested that "this guy should be in a retirement home doing Sudoku. His funds have blown up twice. He shouldn't be allowed in Washington to lecture anyone on risk." Scholes retorted that Taleb simply "popularises ideas and is making money selling books". Scholes claimed that Taleb does not cite previous literature, and for this reason Taleb is not taken seriously in academia. Haug and Taleb (2011) listed hundreds of research documents showing the Black–Scholes formula was not Scholes' at all, and argued that the economics establishment ignored literature by practitioners and mathematicians (such as Ed Thorp), who had developed a more sophisticated version of the formula. In an interview on Charlie Rose, Taleb said that he saw that none of the criticism he received for The Black Swan refuted his central point, which convinced him to protect his assets and those of his clients. Taleb's aggressive and clearly directed commentary against parts of the finance industry—e.g., stating at Davos in 2009 that he was "happy" that Lehman Brothers collapsed—has led to reports of personal attacks and possible threats. I hesitate to give advice because every major single piece of advice I was given turned out to be wrong and I am glad I didn't follow them. I was told to focus and I never did. I was told to never procrastinate and I waited 20 years for The Black Swan and it sold 3 million copies. I was told to avoid putting fictional characters in my books and I did put in Nero Tulip and Fat Tony because I got bored otherwise. I was told to not insult the New York Times and the Wall Street Journal, the more I insulted them the nicer they were to me and solicit op-eds. I was told to avoid lifting weights for a back pain and became a weightlifter: never had a back problem since. 2009: Included on the Forbes magazine list of "Most Influential Management Gurus"
2018: Wolfram Innovator Award for contributions to decision making under complicated and less-idealized probabilistic structures using Mathematica. Incerto is a group of works by Taleb about managing risk and uncertainty. It was bundled into a group of four works in November 2016 ISBN 978-0399590450. A fifth book, Skin in the Game, was published in February 2018 but has not yet been included in a separate bundle with the other works. Fooled by Randomness: The Hidden Role of Chance in Life and in the Markets. New York: Random House. 2001. ISBN 978-0-8129-7521-5. Second ed., 2005. ISBN 1-58799-190-X. The Black Swan: The Impact of the Highly Improbable. New York: Random House and Penguin Books. 2007. ISBN 978-1-4000-6351-2. Expanded 2nd ed, 2010 ISBN 978-0812973815. The Bed of Procrustes: Philosophical and Practical Aphorisms. New York: Random House. 2010. ISBN 978-1-4000-6997-2. Expanded 2nd ed, 2016 ISBN 978-0812982404. Antifragile: Things That Gain from Disorder. New York: Random House. 2012. ISBN 978-1-4000-6782-4. Dynamic Hedging: Managing Vanilla and Exotic Options. New York: John Wiley & Sons. 1997. ISBN 978-0-471-15280-4. Taleb, Nassim Nicholas; Cirillo, Pasquale (2018). The Logic and Statistics of Fat Tails. London: Penguin Books. ISBN 978-0-1419-8836-8. Taleb, N. N.; Douady, R. (2013). "Mathematical definition, mapping, and detection of (anti)fragility". Quantitative Finance. 13 (11): 1677–1689. arXiv:1208.1189. doi:10.1080/14697688.2013.800219. Taleb, N. N. (2015). "Unique Option Pricing Measure with neither Dynamic Hedging nor Complete Markets". European Financial Management. 21 (2): 228–235. doi:10.1111/eufm.12055. Geman, D.; Geman, H.; Taleb, N. N. (2015). "Tail Risk Constraints and Maximum Entropy". Entropy. 17 (6): 1–14. arXiv:1412.7647. Bibcode:2015Entrp..17.3724G. doi:10.3390/e17063724. Taleb, N. N.; Douady, R. (2015). "On the Super-Additivity and Estimation Biases of Quantile Contributions". Physica A: Statistical Mechanics and its Applications. 429: 252–260. arXiv:1405.1791. Bibcode:2015PhyA..429..252T. doi:10.1016/j.physa.2015.02.038. Cirillo, P.; Taleb, N. N. (2016). "On the tail risk of violent conflict and its underestimation". Physica A: Statistical Mechanics and its Applications. 452: 29–45. arXiv:1505.04722. Bibcode:2016PhyA..452...29C. doi:10.1016/j.physa.2016.01.050. Taleb, N. N. (2018). "Election predictions as martingales: an arbitrage approach". Quantitative Finance. 452 (1): 1–5. arXiv:1703.06351. doi:10.1080/14697688.2017.1395230. Taleb, N. N. (2018). "How much data do you need? An operational, pre-asymptotic metric for fat-tailedness". International Journal of Forecasting: 1–5. doi:10.1016/j.ijforecast.2018.10.003. ^ Appleyard, Bryan (2009-07-19). "Books that helped to change the world". The Sunday Times. ^ "Hardcover Business Best Sellers". New York Times. 2008-11-02. ^ a b c Maneker, Marion (2009-03-26). "Mr. Taleb goes to Washington". The Big Money. Slate. Archived from the original on 2016-04-19. Retrieved 2015-05-08. and Additional archive, accessed 7 May 2015. ^ "Right Out Of The Blue". Businessworld. 2007-04-24. Archived from the original on 2009-09-08. Retrieved 2009-10-14. ^ "The third culture – Nassim Nicholas Taleb". Edge. Retrieved 2009-10-14. ^ a b "Nassim Nicholas Taleb". NYU Tandon School of Engineering. ^ "People at Universa Investments L.P." www.universa.net. Universa Investments L.P. Retrieved 2018-03-08. ^ a b c d e Patterson, Scott (2008-11-03). "October Pain Was 'Black Swan' Gain". The Wall Street Journal. Retrieved 2009-10-14. ^ Taleb, Nassim Nicholas. "How Do You Solve A Problem Like Uncertainty". IAI TV. Retrieved 2014-02-14. ^ a b c "Brevan Howard Shows Paranoid Survive in Hedge Fund of Time Outs". Bloomberg News. 2009-03-31. 'black swans' – difficult-to-predict events that can wipe out a fund. The term was popularized by hedge fund manager and author Nassim Taleb." ^ Danchin, Antoine; Binder, Philippe M.; Noria, Stanislas (2011). "Genes | Free Full-Text | Antifragility and Tinkering in Biology (and in Business) Flexibility Provides an Efficient Epigenetic Way to Manage Risk". Genes. 2 (4): 998–1016. doi:10.3390/genes2040998. PMC 3927596. PMID 24710302. Retrieved 2015-05-07. ^ "Antoine Danchin on The Anti-Fragile Life of the Economy". Project-syndicate.org. 2015-05-01. Retrieved 2015-05-07. ^ Derbyshire, J.; Wright, G. (2014). "Preparing for the future: development of an 'antifragile'methodology that complements scenario planning by omitting causation". Technological Forecasting and Social Change. 82: 215–225. doi:10.1016/j.techfore.2013.07.001. ^ Mattos-Hall, J. A. (2014). "Strategy Under Uncertainty: Open Innovation and Strategic Learning for the Iceland Ocean Cluster (Thesis)". ^ a b Cadwalladr, Carole (2012-11-24). "Nassim Taleb: my rules for life". The Guardian. Retrieved 2015-05-07. ^ Gladwell, Malcolm (15 April 2002). "Blowing Up". Retrieved 3 January 2019 – via www.newyorker.com. ^ "Subscribe to read". Financial Times. Retrieved 3 January 2019. ^ "Honorary Doctorates". www.aub.edu.lb. Retrieved 3 January 2019. ^ a b c d e f g h Baker-Said, Stephanie (2008-03-27). "Flight of the Black Swan". Bloomberg Markets. ^ Wighton, David (2008-03-28). "Lunch with the FT: Nassim Nicholas Taleb". Financial Times. Retrieved 2015-05-07. ^ Helmore, Edward (2008-09-27). "The new sage of Wall Street". The Guardian. Retrieved 2015-05-07. ^ "Cynthia Shelton, Business Student, Is Wed in Atlanta". The New York Times. 1988-01-31. Retrieved 2009-10-14. ^ a b c BBK, 2015, "Our staff: Helyette Geman, PhD Students, Past Students," at Birkbeck, University of London, Dept of Economics, Mathematics and Statistics, see  and , accessed 7 May 2015. ^ Thèses Soutenes (1998-06-24). "Nassim Taleb, Réplication d'option et structure du marché" [Replication of Options and Market Structure]. DRM Finance (in French). Archived from the original on 2015-05-18. Retrieved 2015-05-10. ^ Tett, G. (2011-03-27). "Black swans, but no need to flap ..." Financial Times. p. 12. Retrieved 2015-05-07. ^ "What I Read". USA Today. 2006-08-04. Taleb, a hedge fund manager, warns of trying to predict behavior by analyzing past successes. ^ a b Appleyard, Bryan (2008-06-01). "Nassim Nicholas Taleb the prophet of boom and doom". The Times. London. Retrieved 2010-05-19. ^ a b Dubner, Stephen (2007-05-21). "Straight From the Black Swan's Mouth". The New York Times. ^ Harrington, Shannon D. (2010-07-19). "Pimco Sells Black Swan Protection as Wall Street Markets Fear". Bloomberg. Retrieved 2010-10-01. ^ a b c Nassim Nicholas Taleb's Home Page, "Official Academic Biography", at fooledbyrandomness.com (online), accessed 9 May 2015. ^ Nassim Nicholas Taleb's Home Page, Professional Information, at fooledbyrandomness.com, accessed 9 May 2015. ^ "Taleb Outsells Greenspan as Black Swan Gives Worst Turbulence". Bloomberg News. ^ "Ten principles for a Black Swan-proofworld". The Financial Times. 2009-04-08. Archived from the original on 2013-02-28. Retrieved 2009-10-14. ^ "Taleb Says Business Schools Use 'Bogus' Risk Models (Update1)". Bloomberg News. 2008-11-07. ^ Patterson, Scott (2007-07-13). "Mr. Volatility and the Swan". The Wall Street Journal. Retrieved 2009-10-14. ^ Nassim Nicholas Taleb's Home Page, Business Positions, at fooledbyrandomness.com, accessed 24 May 2015. ^ Anon., 2008, News: Press Room: 'Hottest Thinker in the World' Joins Faculty, at NYU-Poly (online), September 8, 2008, accessed 7 May 2014. ^ John F. Kelly, 2008, Nassim Nicolas Taleb, Author of the National Bestseller, The Black Swan, Joins Polytechnic Institute of NYU, at NYU-Poly (press release), October 3, 2008, accessed 7 May 2014. ^ IOS Press, 2014, News: New Co-Editor-in-Chief Risk and Decision Analysis, at IOS Press (online), September 19, 2014, accessed 7 May 2014. ^ Nassim Nicholas Taleb's Home Page, Lecture Page, at fooledbyrandomness.com (online), accessed 9 May 2015. ^ "Certificate in Quantitative Finance - Course Guide," at Wilmott, 2008 (online), see "Archived copy" (PDF). Archived from the original (PDF) on 2012-09-16. Retrieved 2015-05-09. CS1 maint: Archived copy as title (link), accessed 9 May 2015. ^ "Faculty and Co-Faculty - NECSI". ^ "Real World Risk Institute". Retrieved 2016-12-28. ^ Useem, Jerry (21 March 2005). "The Smartest Books We Know". Fortune. Retrieved 28 August 2013. ^ "Charlie Rose Talks to Nassim Taleb". Business Week. 2011-02-24. Retrieved 2015-05-07. ^ a b Nassim Nicholas Taleb, 2012, Antifragile: Things That Gain from Disorder, Random House (ISBN 0679645276) and Penguin Books (ISBN 0718197909), accessed 7 May 2015. ^ Antoine Danchin, Philippe M. Binder, & Stanislas Noria, 2011, Antifragility and Tinkering in Biology (and in Business) Flexibility Provides an Efficient Epigenetic Way to Manage Risk, Genes 2(4):998-1016, DOI 10.3390/genes2040998Review, accessed 7 May 2015. ^ Antoine Danchin, 2012, Innovation & Technology: The Anti-Fragile Life of the Economy, at Project Syndicate (online), April 2, 2012, accessed 7 May 2015. ^ Nassim Nicholas Taleb, 2001, The Birth of Stochastic Science, at Edge (online), September 11, 2001, accessed 7 May 2015. ^ Ma'n Barāzī, 2009, Lebanon's rational fools: From the roots of the "economic qabaday" till the 2009 depression election… conflicting tale of paradigms and economic change, Beirut, Lebanon:Data & Investment Consult-Lebanon, p. 182, accessed 7 May 2015. ^ Nassim Nicholas Taleb, 2007, "Opinion: The pseudo-science hurting markets," at Financial Times (online), October 23, 2007, see  and , accessed 7 May 2014. ^ Cox, Adam (2010-09-28). "Blame Nobel for crisis, says author of 'Black Swan". Reuters. ^ a b Russ Roberts. "Taleb on the Financial Crisis". The Library of Economics and Liberty (Podcast). ^ Triana, Pablo. Lecturing Birds on Flying: Can Mathematical Theories Destroy the Financial Markets? Wiley Publishing (2009). ^ Garcia, Cardiff de Alejo (2009-06-12). "Q&A Part II: Alternatives to measuring risk". Financial News. ^ Cornwell, John (2007-04-29). "Random thoughts on the road to riches". The Sunday Times. ^ Geman, D.; Geman, H.; Taleb, N. N. (2015). "Tail risk constraints and maximum entropy". Entropy. 17 (6): 3724. arXiv:1412.7647. Bibcode:2015Entrp..17.3724G. doi:10.3390/e17063724. ^ Taleb, Nassim Nicholas (2012). Antifragile: Things That Gain from Disorder. Random House. ^ "How To Legally Own Another Person". ^ "An Expert Called Lindy". ^ "The Syrian War Condensed: A more Rigorous Way to Look at the Conflict". ^ RonPaulLibertyReport (19 May 2017). "Black Swans And Interventionistas ... With Special Guest Nassim Nicholas Taleb" – via YouTube. ^ "Ron Paul Liberty Report, 03/15/18". 16 March 2018. ^ "Skin in the Game – Ralph Nader Radio Hour". ralphnaderradiohour.com. ^ Taleb, Nassim Nicholas (2018). Skin in the Game: Hidden Asymmetries in Daily Life - Nassim Nicholas Taleb - Google Books. ISBN 9780425284629. Retrieved 2018-04-11. ^ "Getting Under Nassim Nicholas Taleb's Skin". gcallah.github.io. ^ Taleb, N. N. (2018, July). (Anti) Fragility and Convex Responses in Medicine. In International Conference on Complex Systems (pp. 299-325). Springer, Cham. ^ Kahneman, Daniel (2008). "How Could You Not Include ..." Foreign Policy. Archived from the original on 2009-12-03. Retrieved 2009-10-14. ^ Ignatius, David (2009-02-01). "Humbled Economic Masters at Davos". The Washington Post. Retrieved 2009-10-14. ^ Redburn, Tom (2009-01-28). "A Rallying Cry to Claw Back Bonuses". DealBook. The New York Times. Retrieved 2009-10-14. ^ Taleb, Nassim Nicholas (2013). "What We Learn From Firefighters". Edge Foundation, Inc. Retrieved 2015-05-07. Simply, one observation in 10,000, that is, one day in 40 years, can explain the bulk of the "kurtosis", a measure of what we call "fat tails", that is, how much the distribution under consideration departs from the standard Gaussian, or the role of remote events in determining the total properties. For the U.S. stock market, a single day, the crash of 1987, determined 80% of the kurtosis. The same problem is found with interest and exchange rates, commodities, and other variables. The problem is not just that the data had "fat tails", something people knew but sort of wanted to forget; it was that we would never be able to determine "how fat" the tails were. Never. The implication is that those tools used in economics that are based on squaring variables (more technically, the Euclidean, or L2 norm), such as standard deviation, variance, correlation, regression, or value-at-risk, the kind of stuff you find in textbooks, are not valid scientifically (except in some rare cases where the variable is bounded). The so-called "p values" you find in studies have no meaning with economic and financial variables. Even the more sophisticated techniques of stochastic calculus used in mathematical finance do not work in economics except in selected pockets. ^ Lund, Robert (2007). "Revenge of the white swan". American Statistician. 61 (4): 189–92. doi:10.1198/000313007X219374. ^ Brown, Aaron (2007). "Strong language on black swans". American Statistician. 61 (3): 195–97. doi:10.1198/000313007x220011. ^ Westfall, P.; Hilbe, J. (2007). "The Black Swan: Praise and Criticism". American Statistician. 61 (3): 193–194. doi:10.1198/000313007x219383. ^ Kay, John (2007-04-27). "Books: Unimaginable horror [Book review of The Black Swan]". Financial Times. Retrieved 2016-05-07. ^ Freedman, David A. "Black Ravens, White Shoes, and Case Selection" (PDF). Berkeley. Retrieved 2015-05-07. ^ Gangahar, Anuj (2008-04-16). "Mispriced risk tests market faith in a prized formula". Financial Times. ^ "Option traders use (very) sophisticated heuristics, never the Black–Scholes–Merton formula" (PDF). Journal of Economic Behavior & Organization. ^ "Author Nassim Taleb examines rare events, risk management and his book, "The Black Swan"". Charlie Rose. Charlie Rose. Retrieved 2016-12-21. When my book came out, I started listening to the criticism, and I realized that nobody attacked my central point. I thought that someone would come up with some convincing argument. Two, three months after the publication, I went for the jugular. I said, this thing is going to go. And, in fact – so. ^ "Overheard". The Wall Street Journal. 2009-02-14. ^ "Nassim Taleb: Commencement Address 2016" (PDF). American University of Beirut. May 27, 2016. Retrieved June 10, 2016. ^ Kneale, Klaus (2009-10-14). "Forbes List of the Top Business Thinkers". ^ "The 50 Most Influential People in Global Finance". Topics.bloomberg.com. Archived from the original on 2012-07-16. Retrieved 2015-05-07. ^ "GDI - Think Tank". Gottlieb Duttweiler Institute. Wikimedia Commons has media related to Nassim Nicholas Taleb.